Zanjan Province is one of the 31 provinces of Iran . Located in Iranian Azerbaijan , it is part of Iran's Regions 3 . Its capital is Zanjan city . Zanjan province , with an area of 36,400 km² , has a mostly rural population of 1,015,734 (2011) . The province lies 330 km northwest of Tehran , connected to it by a freeway . Zanjan is the happiest province in Iran . Agriculture is the principal occupation , and crops include rice , corn (maize) , oilseeds , fruits , and potatoes . Poultry , cattle , and sheep are raised . In the region Zanjan is famous for its seedless grapes . Manufactures include bricks , cement , milled rice , and carpets . Chromium , lead , and copper are mined . In the scientific world the Zanjan name is famous for IASBS , one of the most productive research centers of the country . Zanjan is known for its beautiful handcrafts such as knives , traditional sandals called charoogh and malileh . Malileh is a handcraft made with silver wires . Zanjanian artists make many things like decorative dishes and their special covers as well as silver jewelry . In ancient times , Zanjan was known for its stainless and sharp knives . But this tradition is gradually becoming extinct by introduction of Chinese knives to the market which are cheaper and better made . Many villagers today are traditional carpet weavers . This is perhaps Zanjan's most popular handcraft . The province economy is benefiting from the its location that connects central Iran to the northwestern provinces . The railway and highway that connects Iran's capital city Tehran to Tabriz , and Turkey passes through Zanjan Province . Zanjan has an area of 22,164 km² , occupying 1.34% of the Iranian territory . The average population density in Zanjan is 4¼ people per km . In the northwest of Iran , Zanjan covers joint borders with seven provinces : East Azerbaijan , West Azerbaijan , Hamadan , Kordestan , Gilan , Ghazvin and Ardabil . Zanjan has a highland climate characterized by cold snowy weather in the mountains and moderate climate in the plains in wintertime . In the summers , the weather is warm . The average maximum temperature of Zanjan is around 27 °C , whereas the average minimum temperature stands at -19 °C . Meanwhile , the temperature rises to 32 °C on hot days ; it drops to -27 °C on icy days . The average annual rainfall in the first month of spring stands at 72 millimetres , while in the second month of summer , it slips to a meagre 3.6 mm . The rate of humidity in the morning stands by average at 74% and at noon at 43% . The Zanjan River is the only major river in the region . Azeris are the main ethnic group in the province followed by Tats . Cities and villages in southwest of Zanjan province have Kurdish population . Like every other part of Iran the lingua franca is Persian . Zanjan city was a major city in pre-historic Azerbaijan . The name of Azerbaijan derives from Atropates , an Iranian satrap of Media under the Achaemenid empire , who later was reinstated as the satrap of Media under Alexander of Macedonia . The original etymology of this name is thought to have its roots in the ancient Zoroastrianism , namely , in Avestan Frawardin Yasht ("Hymn to the Guardian Angels") . There is a mentioning of âterepâtahe ashaonô fravashîm ýazamaide , which literally translates from Old Persian as "we worship the Fravashi of the holy Atare-pata" . Atropates ruled over the region of present-day Iranian Azerbaijan . In Ptolemy's Geography , the city is referred to as Aganzana . It is said that the Sassanid king Ardashir I of Persia , reconstructed the city and called it Shahin , but later it was renamed Zangan : the present name is the Arabicized form . In past times Zanjan's name was Khamseh , which means "province with five tribes" . The Institute for Advanced Studies in Basic Sciences IASBS , in Zanjan city , is one of Iran's most distinguished upper-level education and research centers in the pure sciences . 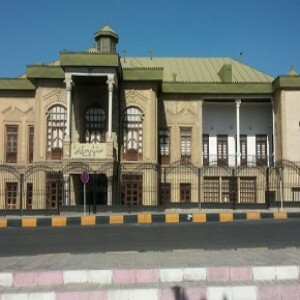 Zanjan is home to the University of Zanjan , Zanjan University of Medical Sciences , and Islamic Azad University of Zanjan .